PIAA’s 520 Series is their number one selling truck light on the market today. The 520 compliments more brush guards than any other light available, due to the combination of design and performance. 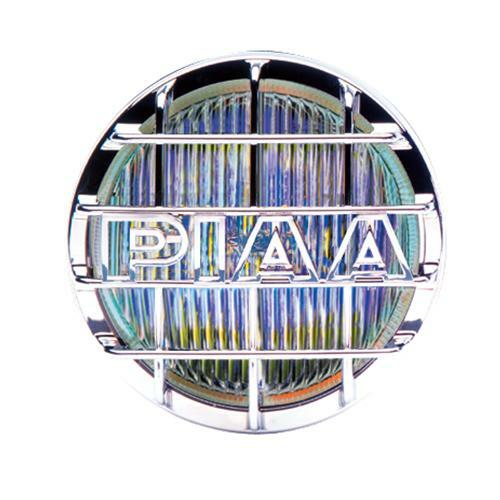 The 85-watt PIAA 5261 Driving light Kit features chrome plated stamped steel housing and a glass lens. The Ion Crystal fog design that provides 95 degrees of lighting coverage and penetrates rain, fog, dust, and snow without bouncing back into the driver’s eyes or offending oncoming traffic. It includes two lights, wiring harness, relay, switch, and two mesh style lens covers.